Long before there was a Big Hungry Shelby, there was an always-hungry little girl growing up in Watertown, NY, obsessed with the Frugal Gourmet and its host, Jeff Smith's, reverence and adoration of food. 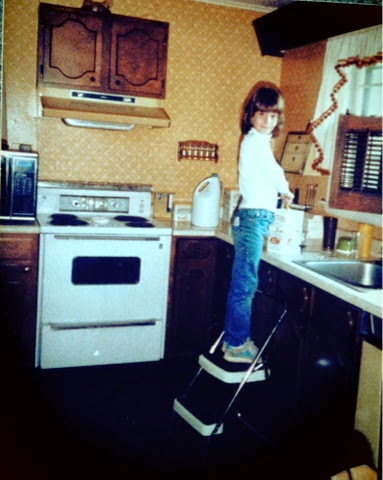 She would fervently mess with dinner prep when her mom wasn't looking - adding garlic salt to the tomato sauce while it bubbled on the stove, egg wash to the crescent rolls before their trip to the oven, and eating raw hot dogs, then sneaking more from the fridge to replace them in the cooking lineup. She had learned kitchen bravery and mischief from her beloved, madcap, adventurous, globe-trotting grandmother, and devoured Floyd Misek's weekly restaurant review in the Sunday paper. Mr. Misek was a celebrity in our house, just like Jeff Smith. When the paper arrived each Sunday, the section featuring the restaurant review would be the first we leafed through to find, and whomever read his column first would advise the others if the restaurant he'd reviewed was one we were likely to visit. I think it's totally fair to state that we were a family of good eaters from the start. We tasted pork BBQ throughout Virgina and the Carolinas, caviar in California, grits in the South and venison in the North. We ate at a lot of HoJos and Cracker Barrels, but Mom also cooked from a wheelhouse of by-heart recipes culled from the unique combo of Episcopal pot lucks and her mother's world cuisine. Whether tuna casserole or paella, I loved it all. This food obsession, by my early 30s, was sufficient enough that friends identified me as a foodie, asked me for recipes, and consulted with me before trying a new restaurant. I would regularly recieve advice to write a cookbook. So in 2010, I started Big Hugry Shelby - not only to provide a creative outlet for my predilection, but also to shine a spotlight on the real food of Upstate New York. And so it goes, you know? I've met some really cool people through blogging, and I just generally have enjoyed inserting myself into the foodie culture I associate with names like Rachael, Guy, Anthony, and Bloomfield. 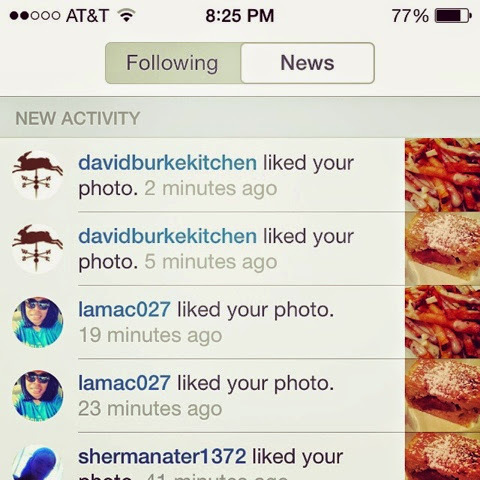 Whenever one of those celebs retweets one of my sentiments or likes something I've posted on Instagram, I blush like a fan girl and tell the whole world. So it brought my universe to a grinding stop a couple weeks ago when an email came from the Watertown Daily Times saying they enjoy my blog and would like me (ME!) to be the new food writer for the Sunday edition. Me! 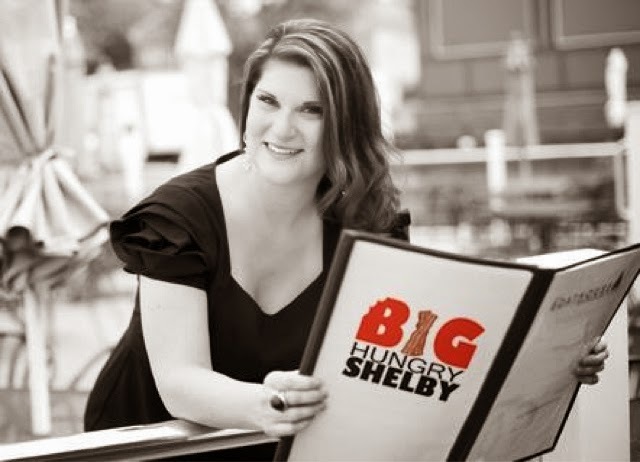 Big Hungry Shelby - With a real, paid position in the legitimate media! I am flattered and flabbergasted, and right away I wondered how I could balance this amazing opportunity with my career, my pageant duties, and the fact that I live in Owego, not Watertown. And then I remembered writing a speech to female future engineers for one of the executives at my company earlier this year. She said the secret to her success was saying yes to opportunities, even if they seem scary and you don't know, up front, how to do them...so I'm going for it. Starting this Sunday, I will be the food writer for the Watertown Daily Times, spreading the Big Hungry Shelby concept to an even wider audience. I will still blog here every Wednesday, but the North Country joints I review will share info with WDT. I have always been careful to stay away from the title food critic used in tandem with my food writing, because taste is so subjective, and I can only offer opinions after tasting things with my own mouth. When I eat out with a group, I take their opinions into consideration, but eating and dining are extremely personal experiences. I know not everyone who reads my Sunday column will agree with my take on the food of the North country, and my new editor Mary has prepped me for the barrage of negative feedback I'm likely to receive. While the burden of reviewing restaurants for a newspaper versus my own blog will mean that from time to time I will have to say I don't like a certain place or dish, you guys know that mostly, I'm a fan of food and food people. It will likely never be all doom and gloom. So North country readers, spend your Sunday mornings with me! I look forward to bringing you the latest on restaurants, chefs, and food in Watertown and the surrounding communities. If there are topics or places you think I should cover in my new column, let me know! And as ever, follow along on Instagram and Twitter @BigHungryShelby and on The Big Hungry Shelby Facebook group for extra helpings, more photos, and real time looks at what I'm eating and writing about. My personality is big, my hunger is bigger! Wonderful news, so proud of you! This is fantastic & I know you'll do a wonderful job with it! Congratulations! !